Schoolhouse Ronk: Happy [early] Birthday to Me & 13 weeks yesterday! Happy [early] Birthday to Me & 13 weeks yesterday! A little early, but we went and got my birthday presents last night! 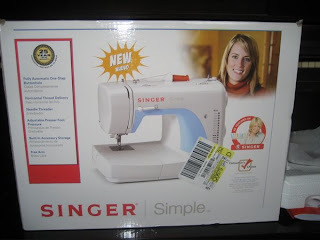 I am going to wait to open the sewing machine until my actual birthday. But I was too excited that I get to make my green (spirulina) smoothies again not to open up my new blender! 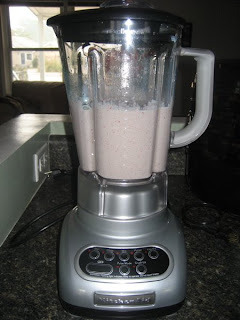 So its smoothies for breakfast this morning! 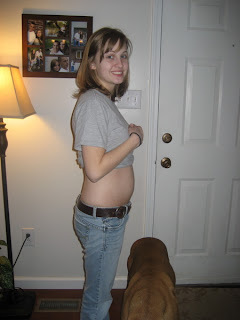 Oh, And I was 13 weeks yesterday! So that means that I have made it through the whole first trimester! Yesterday when we were at the exchange Brian looked at me and said.... "Babe you are getting a belly theres a baby in there!" So he is excited too! Good morning Keri! I hope you are enjoying a smoothie right now, I know I am, an apple pie smoothie! 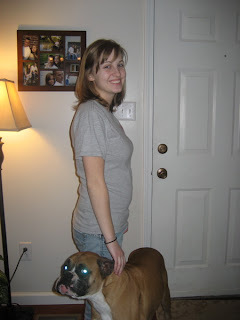 Congrats on making to thru the 1st trimester, how exciting! How do you make an apple pie smoothie? I will have to try that! Oh and we found that Joshua Harris book that we were going to give you guys so we will have to get together soon! Keri! Look at your little belly, its so cute! I can not wait until you find out if it's a boy or girl...so exciting! 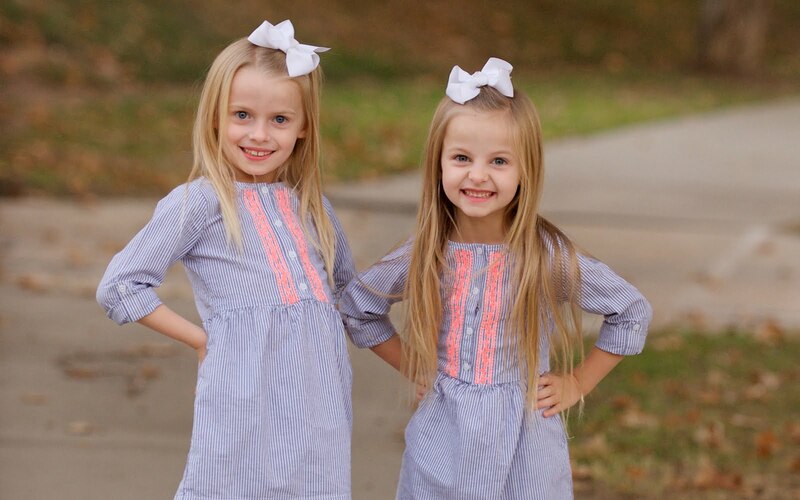 I hope everything is well good for the both of you! Sounds good! and I'll get you the recipe too.